The Urban Land Institute has just released it’s Fall 2016, 3 year Short Term housing and real estate outlook report with predictions from 51 real estate and economic experts. Quite a few organizations including NAR, National Association of Home Builders, Trading Economics, Kiplinger, Freddie Mac, Fannie Mae, Bloomberg, Moodys, and more produce their own housing forecast reports. Which ones are credible and reliable outlooks of housing activity ahead? If you’re a homeowner, investor, mortgage agent, or realtor, it may be wise to read and weigh a number of them for a more reliable forecast. The Urban Land Institute, or ULI, is a Washington, D.C., Hong Kong, and London think tank and research institute whose purpose is to provide leadership in the responsible use of land to build thriving communities worldwide. Some of its organizational mandate is to encourage progressive development, conduct research in sustainability, smart growth, compact development, and workforce housing. The ULI was created during the Great Depression in 1936 and now has 38,000 members (according to Wikipedia). Discover more on Long Term Housing predictions for the US and the San Francisco Forecast, LA Forecast, San Diego Forecast, and the Toronto Forecast for 2017 to 2020. It’s an interesting report for investors, realtors, first time homebuyers, mortgage agents, and businesse in the construction and renovation trades. All indicators are above their 20 years averages with the exception of commercial price appreciation, equity REIT returns, and NCREIF returns. Looking ahead to 2018, HUD forecasts: commercial property price growth, equity REIT returns, NCREIF returns for the four major property types, retail availability, rental rate growth for office and retail, RevPAR growth for hotels, and single-family housing starts will perform below their 20 year averages. Hud says housing starts will increase 30+%, from 714,500 units in 2015 to 875,000 units in 2018, remaining below the 20-year annual average. Compare that to other national US forecasts for these periods. How will Donald Trump affect US housing numbers? The report reveals the experts forecast an easing up of rental apartment vacancies with the national rate up 5.23% in 2018 however these rates are still below the 20 year average vacancy rates. 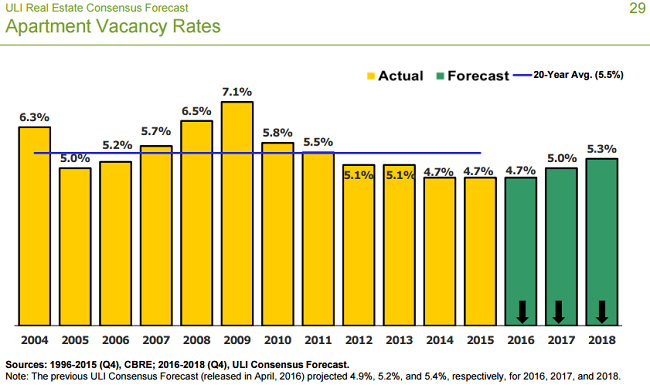 The report doesn’t forecast apartment rentral rates in tight markets such as San Francisco or New York. You can read the full report on the HUD website. Do you need help selling your home or land? 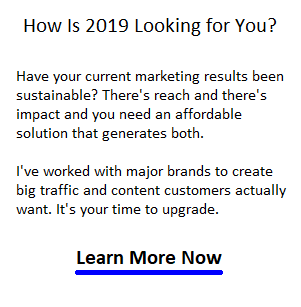 One crazy good outside the box idea is to hire an innovative digital marketing consultant to create massive reach to buyers and jumpstart their desire to own your property. Real estate agents can present a lot of value however they’re not digital marketing masters. They still have to hire a real estate marketing firm to get results. Bookmark this page and return for further forecasts, predictions and market data for most major US cities including Los Angeles, New York City, San Diego, San Francisco, Phoenix, Denver, Seattle, Chicago, Boston, Tampa, Charlotte, Miami, Orlando, Toronto, Vancouver, Newmarket/Aurora, Richmond Hill, Vaughan,Anaheim, Beverly Hills, Malibu, San Jose, Fresno, Santa Clara, Sacramento, Mountainview, Palo Alto, Portland, Washington, Atlanta, Irvine, Nashville, Sunnyvale, Salt Lake City, Riverside, Rancho Cucamonga, Costa Mesa, Raleigh, Albuquerque, Glendale, Oceanside, Long Beach, Huntington Beach, Carlsbad, Santa Clarita, Henderson, and more.